Collin Beck (High Commissioner Solomon Islands), Leo Oaeke (Consul PNG), Steven Onley (ASN), Sara Goldsworthy (DFAT), Victoria Oaeke (wife of Consul PNG) & Walter Diamana (Deputy High Commissioner Solomon Islands), looking at a map for the proposed path of CS². Rapid progress is being made on the Coral Sea Cable System and Solomon Islands Domestic Network. Over the past month, marine survey vessels have docked in Sydney, Honiara and Port Moresby. 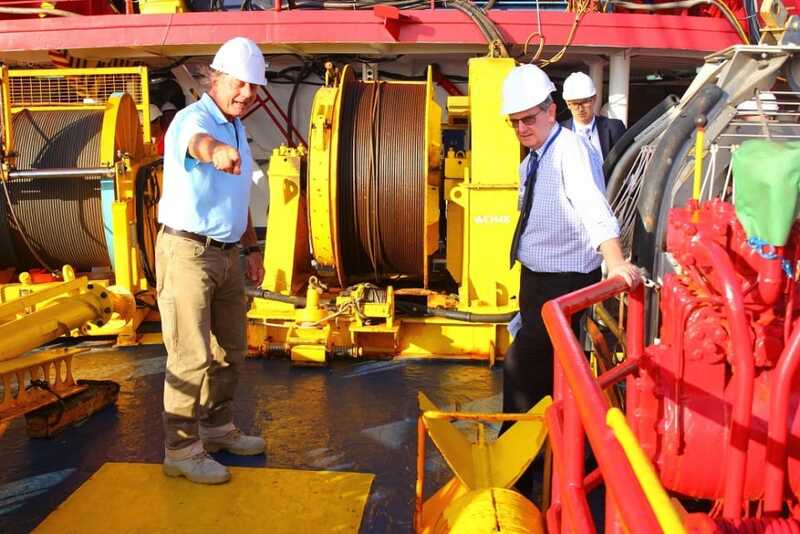 The crews aboard the RV Northern Endeavour and RV Ridley Thomas are working to map the ocean floor to establish a clear path for the submarine cable, which will deliver high-speed internet to Papua New Guinea and Solomon Islands. Cable mapping ensures the manufacture and installation of the cable is as precise as possible while minimising any impact on the environment. Solomon Islands Prime Minister Hou and senior officials from Australia, PNG and Solomon Islands went aboard the vessels. They met with the crew who explained the mapping process for this transformative infrastructure project. 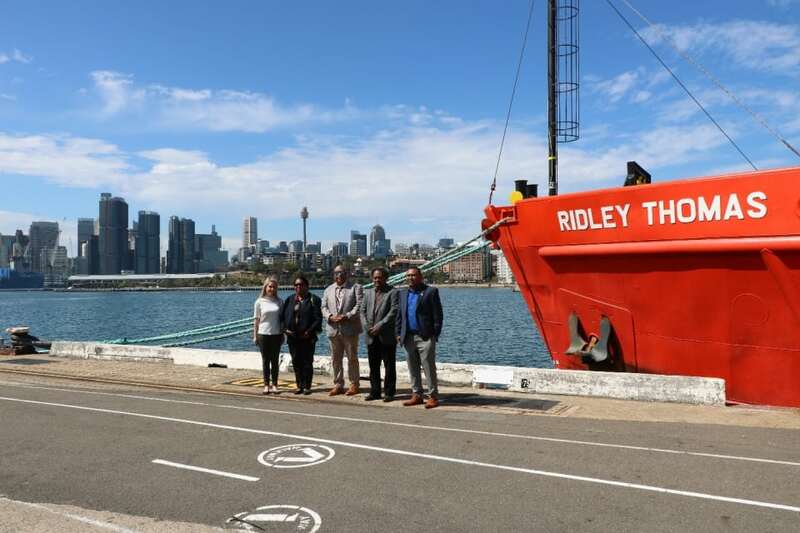 Senior officials from Australia, Solomon Islands and PNG touring the marine survey vessel in Sydney. Prime Minister Hou (Solomon Islands), ASN representative Sandy Wilson (EGS), HE Roderick Brazier (Australian High Commisioner to Solomon Islands), Keir Preedy (CEO SISCC) on board the Northern Endeavour in Honiara. 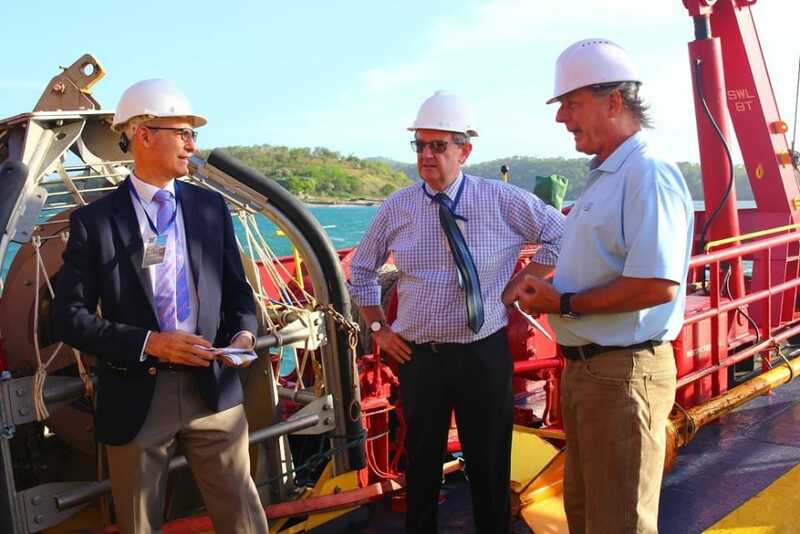 ASN representative Sandy Wilson (EGS), HE Bruce Davis (Australian High Commissioner to PNG), Benedict David (AHC PNG) learning about the marine survey process. 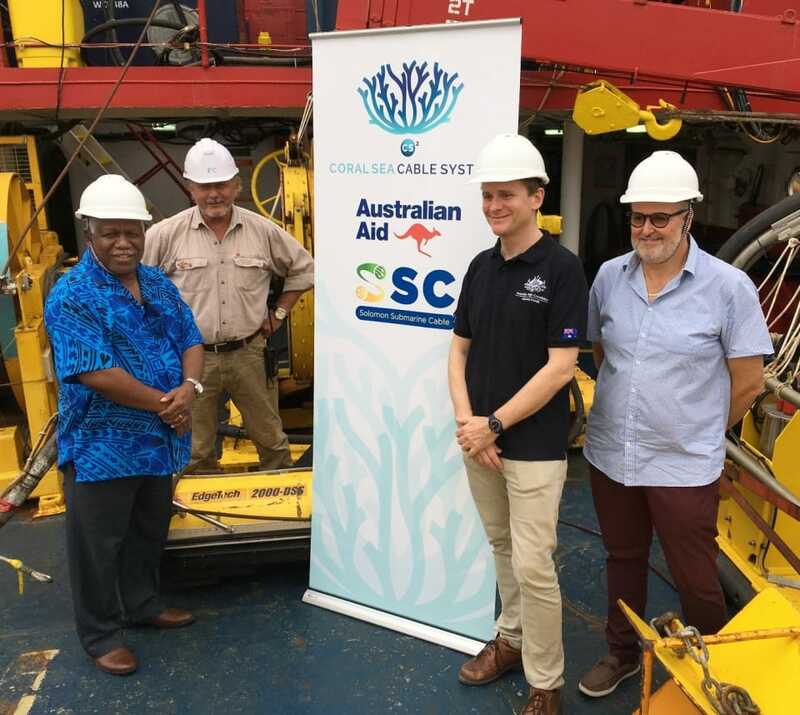 Benedict David (AHC PNG), HE Bruce Davis (Australian High Commissioner to PNG), ASN representative Sandy Wilson (EGS) learning about the marine survey process. For media and general enquiries about this project, please contact Vocus Communications on 1300 88 99 88.